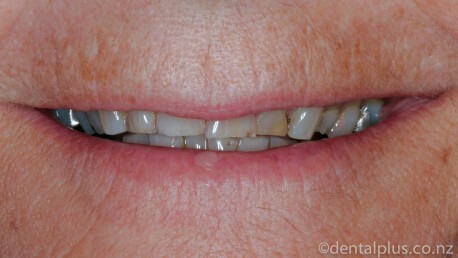 Crowns and veneers are the most durable and stain-resistant option for major smile enhancement. 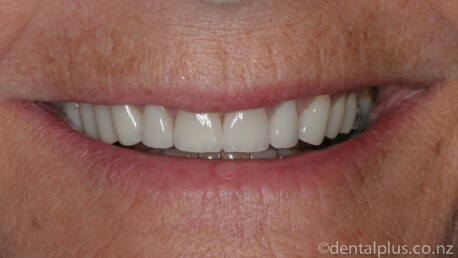 These ceramic restorations allow significant changes to the size, colour and shape of teeth. Crowns are strong shells of ceramic that cover an entire tooth, whereas veneers cover only the visible front surfaces of teeth. Crowns and veneers are precision-made in a dental laboratory and require two appointments, first to prepare the teeth and then to fit the completed restorations. Temporary crowns and veneers are worn in the meantime, allowing the colour, shape and size of teeth to be refined and perfected before the final ceramic restorations are made.